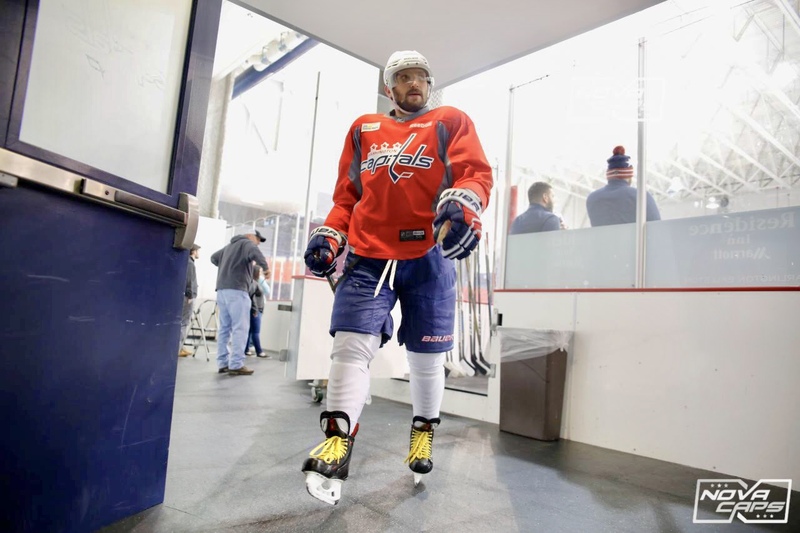 Alex Ovechkin scored two goals in Wednesday night’s 5-2 win over the Vegas Golden Knights, giving him 611 goals in his NHL career, passing Bobby Hull (610) for 17th on the all-time NHL goals list. The Capitals would stretch their lead to 2-0 with a goal from Alex Ovechkin (#610) at 10:18 of the middle frame. The goal was setup by a beautiful feed from Evgeny Kuznetsov. Brett Connolly was awarded the other assist. The Capitals would regain a two-goal margin with a goal from Ovechkin, his second of the game and fourth of the season, at 10:33 of the final frame. Evgeny Kuznetsov would make a beautiful pass to Ovechkin’s stick for the score. Brett Connolly registered the other helper. 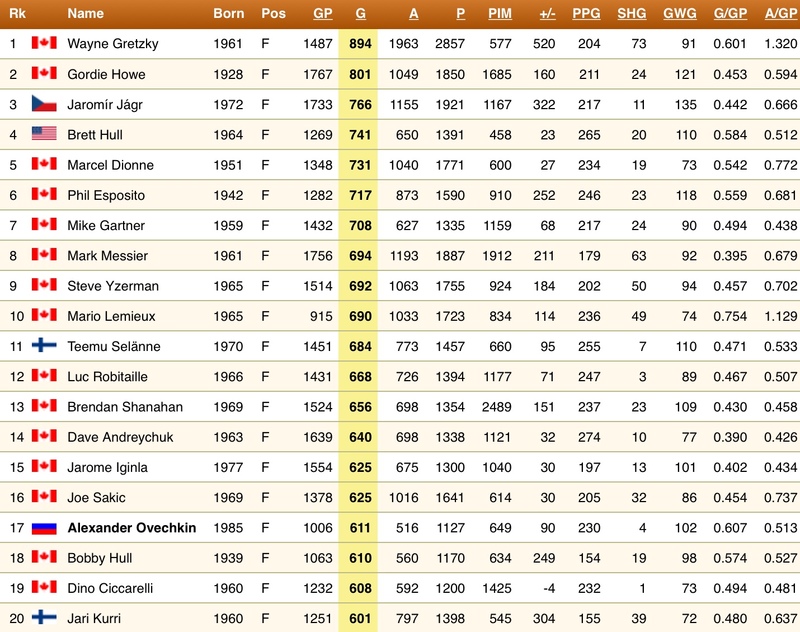 The following is an updated list of the all-time goal scorers in NHL history. One glance and it’s easy to see that Ovechkin will likely pass a few big names this season, and could be knocking on the door of the top-10 as soon as next season. This entry was posted in News and tagged Alex Ovechkin, Bobby Hull, Vegas Golden Knights. Bookmark the permalink.